Employee Health: How Do I Get My Family to Exercise? For you: Take care of yourself as well as your family by carving out time to exercise and limiting sedentary behavior, which will give you energy to keep up with your family’s busy schedule. It’s always important to lead by example. For your spouse: Once again, lead by example, and that may be enough to get your significant other off the couch and into an exercise program. Plan enjoyable activities that you can do together, such as biking, walking, and playing tennis. If you’re a gym rat, say that you need him or her for motivation, a spot, or even just the company, or plan to take a group fitness class together. For your kids: Encourage any activity that keeps them moving, like sports (team or individual, such as martial arts, dance, rock climbing, skateboarding, or swimming), outside play, and play dates with friends. If you have video games in the house, make them active ones. Encourage friendly competitions among siblings, such as who can perform the most push-ups or sit-ups. Making exercise fun is the key! 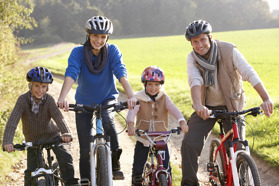 For the entire family: When it comes to family exercise, the more, the merrier! Staying active as a family is not only good for everyone’s health, but it helps build strong relationships. Skiing, sledding, ice skating, and bowling are great for cold weather, and walking, biking, tennis, basketball, touch football, putt-putt golf, and swimming are all ideal for warmer-weather months. 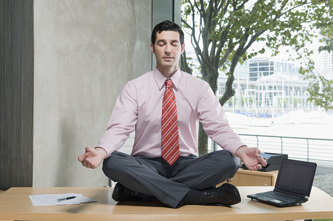 Employee Health: How Can I Improve My Energy Level? It’s a new year, and you may be eager to start fresh with new resolutions, goals, and a lengthy to-do list. Give yourself the best chance to achieve success by providing your body with the energy it needs! All too often we have a tendency to let our tired bodies get the best of us. 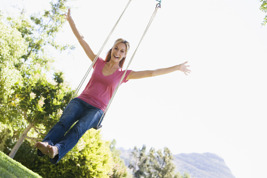 Try out some of these tips to help keep your energy levels on par with your busy lifestyle. Get plenty of sleep. Turn off the computer, TV, and cell phone and turn in early. Grab a power nap during the day, if necessary, which can stave off fatigue. Get moving. Take a brisk walk, complete a quick set of pushups and jumping jacks, or perform some work around the house when you feel your energy lagging. We also tend to skip a planned workout when tired, when in actuality you’ll feel more energized after hitting the gym. Eat smart. Reach for the fruits and vegetables, and avoid refined carbs, which can cause your blood sugar to spike and crash erratically. Eating a variety of nutrients will provide your body with vitamins and minerals (such as iron and magnesium) needed to function. Eat often. Your eating schedule is important as well. Indulge in some breakfast and some healthy snacks between meals, so your body isn’t ever lacking for fuel. Drink up. 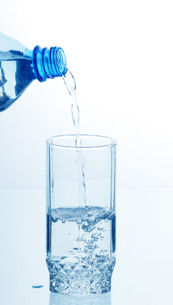 Dehydration may cause sluggishness, so be sure to hydrate throughout the day. Another new year is here, and with that come high fitness expectations that your corporate wellness participants place upon themselves. When members come to us with New Year’s resolutions, our first step is to teach them how to set appropriate goals that will lead to success. Once you have the general picture of what your clients are hoping to achieve as well as why it’s important to them, you can help in fine-tuning their goals. You can’t set a goal without knowing how to measure success. Preferably, you’ll use numerical data. In our example, we can measure pounds. If a client has a goal of “getting in shape,” have him or her choose once specific item that can be measured, such as blood pressure or minutes spent walking. Here is where you can help your clients evaluate whether their goals are realistic for their individual lifestyles. If other priorities or any other issues might get in the way of achieving a goal, you could scale down the goal into smaller mini-goals in the beginning. Want to find out how NIFS staff in your corporate fitness can make a difference for your employees? 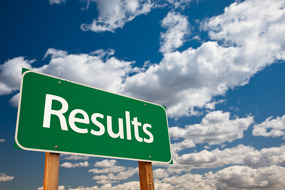 Check out our case studies. There are many reasons for seeking the help of a personal trainer. Corporate health and fitness specialists can introduce you to an exercise routine, help you break through a rut, or give you the extra boosts of knowledge, motivation, and accountability that you need to achieve the next level in your fitness. But how do you pick a trainer? First, make sure that your trainer has the appropriate credentials. The most basic certifications on a personal trainer’s resume would be CPR, AED, and first aid; a four-year degree in the health and fitness field; and preferably a certification from a well-recognized organization, for example the American College of Sports Medicine. While most corporate fitness companies will have already screened potential employees for this information, many commercial gyms require only minimal certifications or experience in the field. Knowing that your trainer has met these standards, you have a better chance of achieving your goals and staying injury-free. Ask about the trainer’s background and what his or her specialties are. While health and fitness specialists should have experience training with a wide population, most will be honest if they have a passion for certain demographics, for example children or senior citizens. Also, some trainers may be more inclined to work with people looking for specific athletic goals, while other trainers prefer working with those striving for everyday fitness or disease prevention. During your consultation and first personal training session, make sure that your trainer thoroughly listens to you and understands your goals. While you are exercising, make sure that he or she is watching your form and not gazing off at the TV in the corner of the gym or chatting with other people during your whole workout. Ask for feedback if they do not give it automatically. Don’t be afraid to shop around for a personal trainer. Put your fitness into someone else’s hands only when they have shown the experience, interest, and encouragement that you deserve from a personal training relationship. When cuts are being made in your organization, there may be even more pressure to earn your keep and ensure you’re meeting work demands. Finding time to exercise during the day may not be an option when workloads are mounting. When weight gain seems inevitable in the midst of the stress, keep in mind that it is preventable with a bit of planning. Decide exactly how you will still get in some exercise, even if it is not as much as you’d like. Take every opportunity. Instead of sending an e-mail to a colleague, take a quick walk to her desk and ask her your question in person. You can also take a break from sitting by standing up when you take calls on the phone. Use the stairs instead of the elevator whenever you have the chance. Even these small activities can help minimize stiffness. Arrive early, stay late. Even if you can’t squeeze in a 30-minute walk in your wellness center during the day, three 10-minute walks throughout the day can be just as beneficial. Arrive to work 10 minutes early so you can spend 10 minutes walking on the treadmill before you get to your desk. If you can spare 10 minutes during the day and 10 more after work, you will have squeezed in a 30-minute aerobic workout. Get personal. Staff in your corporate wellness program can design an individualized, effective, and time-efficient workout for you. With knowledge of your goals and time constraints, a qualified fitness specialist should be able to walk you through an exercise program that is appropriate for your skill level and availability. What do you do to fit in exercise when you’re short on time? Working at a corporate fitness center, I get a lot of questions on how to shrink the waistline. You may or may not have heard the phrase “you can’t spot reduce,” and it’s true. For example, performing stomach exercises alone won’t decrease the size of your stomach. There are, however, a couple of different things to consider when wanting to lose weight or tone up. You must do cardio; if you already do cardiovascular exercise four or five days a week, kick up the intensity of your cardio sessions. For example, add an incline while walking or jogging on the treadmill. 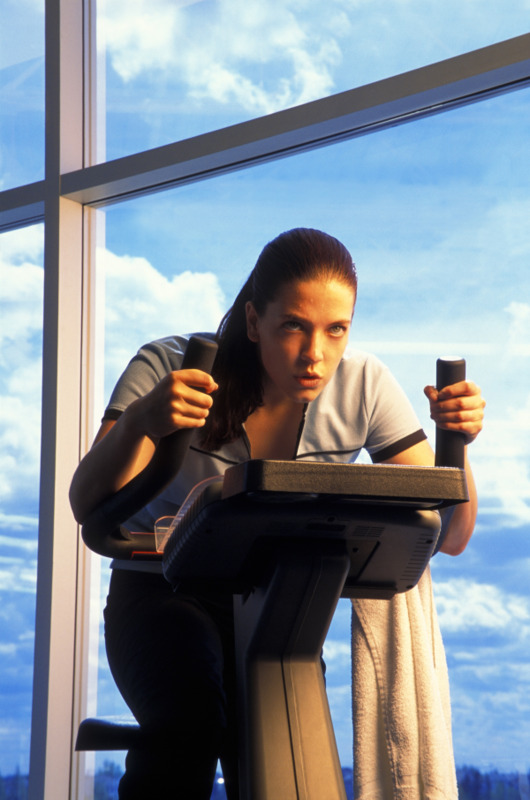 Increase your resistance level on the bike or elliptical. If you aren’t currently involved in regular cardio exercise, that’s a good place to start. Spiking up your heart rate and oxygen consumption will help to burn fat. Strength training is just as important as cardio. Performing strength training exercises can get your heart rate up, too, along with building muscle and bone strength. This will also help you to burn more calories while at rest. If you aren’t familiar with how to safely perform strength training exercises, schedule an appointment with your corporate fitness center staff. My last suggestion would be planks―and a variety of them! Planks help to strengthen your core (abdominals and lower back). I feel they are more effective than abdominal crunches. To perform a basic plank, you are on your elbows and toes. Keep your shoulders above your elbows and push your weight back toward your feet, as opposed to hovering over your shoulders. Start holding it for as long as you can and progressively add seconds onto your time. Ready, set, up! Recently, the cost of health care has risen to over $2.5 trillion and is projected to increase, on average, 6.1 percent per year until 2019. These costs have also risen for employers who pay for their employees' health plans. Rates are rising due to employees' family members also becoming ill. This forces employees to use more money and potentially miss work when a family member is sick. An ill child can take a toll not only on the parents, but the company they work for. 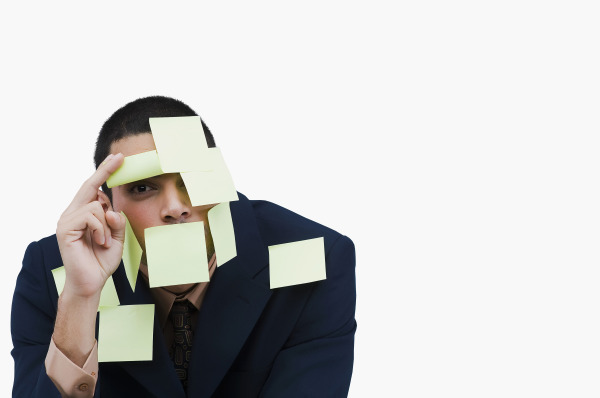 The average annual cost for a company due to unscheduled employee absenteeism is estimated to be over $760,000. 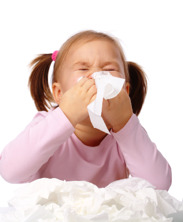 These unplanned absences include personal days, or days one must stay home to care for an ill child. Loss of productivity and administrative costs are the main issues when it comes to these missed days. The extra work is then taken on by other workers, or less-effective replacements, therefore causing a loss of efficiency in the company. Also, these replacements cost the company extra money, or the company needs to pay another employee overtime for their service. Unplanned absences are responsible for 21 percent of productivity loss per year versus 15 percent for those absences that were previously planned. A possible solution for companies to avoid spending an overabundance of money on these absences, would be to offer sick child care. These services are becoming more popular among businesses. Placing a child care program in a business has an immense impact on the company's expenditure. When a child care assistance program is in place, the company spends less money than if the parent were absent from work. This type of program can have an enormous impact on a company and may be worth the investment. Approximately 65% of the U.S. population is overweight or obese, which should tell us that some sort of a wakeup call concerning health is crucial. What if this wakeup call took root at work? It’s common knowledge that happy, healthy employees will be more productive and have lower health insurance costs, which satisfies employers. However, implementing a successful wellness program in the workplace can sometimes be a bit of an uphill battle. We all know how difficult it can be to overcome bad habits, and if you have a group that is particularly set in their ways, starting small is key. Many individuals will not acknowledge they’re unhealthy until they are presented with hard proof; for instance, a diagnosis of pre-diabetes or high blood pressure may be what propels them to act. How do they receive the testing necessary to identify these conditions? It may come in the form of a health fair with screenings, which can be less invasive and less intimidating than a doctor’s visit. A follow-up doctor’s appointment can be the next step, if necessary, and with proper education about nutrition and exercise, that employee will hopefully be on the road to better health. If you’re an employer, consider implementing a program that provides employee access to health professionals (anywhere from a doctor to a fitness professional) who can guide them in setting goals and achieving (and then maintaining) healthy habits. Also, creating a healthy environment in the workplace (nutritious food options, active employee outings, etc.) always helps! Involve company leaders, which enhances the effectiveness of these types of initiatives. Take a look at your workplace. What sort of action would be best suited to its employees?